Gabriel Levy. All the events you have described, from Piper Alpha onwards, took place in the aftermath of the 1984-85 miners’ strike. How do these things relate to each other? Neil Rothnie. The rise of the oil industry and the demise of the coal industry came together. It was the inability of the trade union movement effectively to defend the miners certainly precluded them from effectively challenging capital in the North Sea. You can not allow the miners to get slaughtered, and then hope to control the new sources of energy. And, think about it, the ideal people to have gone onto the North Sea would have been the redundant miners. But there was no way the companies were going to allow that. Those guys were never going to get within a hundred miles of any oil rig. In all the time I was out on the North Sea I met just one guy, one miner who had made the transition – which you would have thought would have been an obvious transition to make, from an old energy industry to a new one. GL. The miners’ strike took place in 1984-85. So it had been over for three years when the Piper Alpha blew up. Do you remember the reaction among North Sea workers at the time? NR. In the new energy industry in the North Sea, there was not enough organisation that we could do anything to support those guys. I went down on the march from Fife to Glasgow [organised by three NUM strike committees in the week prior to May Day 1984, with a view to spreading strike action and winning support from steelworkers and others] because I had the time off. Was there another oil worker involved in the entire miners’ strike in Scotland? I don’t know. Except for giving money to support the strike, [no action was taken]. There was individual sympathy for the mineworkers, but no organised response. GL. So there was very little connection between the two things – and as you have mentioned, very few mineworkers who went on to work in the oil industry. NR. That’s right. There were many guys coming out of the pits, with an industrial background, who could have been retrained to work on the rigs. But there was no way that was going to happen. The contractors wanted anybody – butchers, bakers or candlestick makers – rather than a carworker or a miner or any other former industrial worker. GL. I believe that, however society changes, we are in an “energy transition”, away from fossil fuels in general, and oil in particular as it becomes more expensive and difficult to produce. Over the long term, oil is going to follow British coal off the scene. Where should energy workers be in that transition? NR. In 2007-08, the RMT made its move to absorb the OILC, after the OILC had decided under the leadership it had then that it could not go on any longer. There was a hope, or at least I had a hope, that under the militant leadership of [RMT general secretary] Bob Crow that there might be a rejuvenation, a renewed attempt to organise the British sector of the North Sea. But that was not to be. I think [the RMT leadership] wanted to challenge Unite, and they thought that if they had an energy section, they could recruit wind farm workers and workers in turbine manufacture. There was a plant down on the Isle of Wight, Vestas, and in 2011 there was a battle to save it from closure. But I think the RMT had their own agenda – we were a membership grab. They wanted the money from the dues – it was a big branch with three thousand workers. They were getting more from the North Sea than they were putting in. They collected all those dues but were putting in nothing. I think the RMT was thinking about preparing for the next wave. Perhaps they were looking at the North Sea and thinking – if the workers there haven’t organised themselves up to now, how on earth are we going to do it? We’ll spin them along, but our real plan is to challenge Unite – it’s an inter-union thing, with divisions and back-stabbing. At this point my intervention was to try to raise for the British workers what has happened in Norway. The unions there are not fundamentally different. They are not revolutionary. They are the same social democratic, reformist trade unions. But they had done it relatively well – as far as reformist trade unionism goes, they had done well: organised everybody in the industry, set up structures that allowed the organisations to function and to strike and use industrial muscle to ensure that they got a relatively fair whack, a relatively fair cut of the cake, in trade union terms. But that strategy of mine fell foul of the plans already made. The RMT didn’t want to hand over any kind of authority to the Norwegian unions. They didn’t want them coming in and muddying the waters – and showing, by their example, just how useless the British trade unions have been. The RMT failed to carry out resolutions that we had passed through the OILC branch, and had been carried at the first RMT AGM in which OILC participated as a branch of RMT, on focusing on forming a single union organisation on the North Sea. They just shelved it. It later became clear that they had done a deal with the TUC – despite the fact they had given us all sorts of assurances that they wouldn’t – that said, “we will not organise in the areas that are not traditionally ‘our’ areas”. By that they meant: anywhere except on the supply boats and amongst the caterers. In this way, despite the rhetoric from the OILC Branch, RMT basically told Unite that they would not challenge them anywhere else – not even on the semis – where Unite has a so called “agreement” that no one’s even seen written down. Unite has official bargaining rights for the wages and conditions of drilling sector workers, but few members. There is a name for this agreement – the UK Drilling Contractors Association (UKDCA) agreement – but it has no physical substance. You can’t get it out of the library and look to see what the terms are. It’s a “sweetheart” agreement specifically to give comfort to the employers and disenfranchise the majority of drilling workers. GL. So whereas the OILC of the early 1990s seemed to be moving towards an industrial union structure, i.e. one union to represent everyone on the North Sea, we ended up going in the opposite direction. NR. The reality was that they did a deal [not to challenge the sweetheart agreement held by UNITE, ] and so an industrial union was never ever going to happen. It took me a while – including a year on the executive of the RMT – to work this out. It’s just sleekit. The OILC branch, which had previously been the OILC union, has accommodated itself to this arrangement. Just think about it! It seems obvious now! There was no way that a TUC dominated by UNITE was going to agree with RMT bringing the hated OILC into the fold and facilitate an OILC expose of and a challenge to the sweetheart nature of the UNITE agreement and organise in an area that UNITE had made their own and in which oil workers were effectively disenfranchised. Where a union with precious few members were the official negotiating partners (sweethearts) of the oil contractor employers. GL. Let’s say a young man, in his 20s, comes to see you. He’s working in the North Sea and he says, I want to organise, with my workmates. And people have told me to come to see you about the things that happened in the 80s and 90s. What were the good things, what were the bad things? What use is that experience now? NR. If you’re serious, and you think you can survive long enough to make this a reality, then join the OILC, take whatever forces you can into the OILC, and we will one more time try to have a go at this – to organise a section of workers in a trade union sense. In fact this has happened, recently. The guys who operate ROVs [Remotely Operated Vessels] came to the union, with a view to organising their sector. The ROV workers had managed to provoke a fair bit of enmity from many of the divers, because they had taken over many of the divers’ jobs. Instead of putting a man in a suit and sending him under water, they would keep him on the deck of one of these vessels with a control panel – and a submarine with claws would go down, and would look at things, video them and even make simple interventions. The divers were a section that had traditionally been organised by the RMT. A breakaway union of divers had been set up, by guys who wanted to fight, and so the divers’ employers took the [former] NUS [since 1990 merged into the RMT] on board. The RMT gave the employers another option. They became the accepted face of diving trade unionism in the North Sea. But in the course of this, the divers became industrially strong. They did all join the union. And eventually, a couple of years ago, they threatened strike action and won a massive wage increase. But it is the ROV workers who potentially have enormous power now. Originally, the North Sea was about building a platform and drilling wells off that. Now, with directional drilling and sub-sea completions, you can drill wells anywhere, and, with the current sub-sea technology, you hook them back up to the nearest platform that hasn’t rusted away and can hold a pipe. So the guys who run these companies could see the writing on the wall [i.e. the dangers posed by workers’ organisation in this high-tech sector]. And we found ourselves faced with social dumping. With a worldwide fleet the employers began to bring on Filipino seamen and Filipino trainees – and they paid them the type of international rates that Filipino workers typically earn. They are great workers I believe: they have a huge history and tradition of seafaring and related skills. So British ROV workers were frightened they are going to lose their jobs and that wages and conditions would suffer under this social dumping. The ROV workers wanted to get organised; they are already very well organised in the Australian offshore industry, for example. So they come to the OILC. They already had a web site; they were writing and communicating, talking to each other. So these guys, with my encouragement, set up a new web site, Nok Er Nok, Norwegian for “Enough is Enough”, which was the name of the OILC Branch newsletter that I had set up. And the ROV workers began to use the web site. As the OILC branch secretary I started writing in to a couple of their forums, putting out some general rallying-calls and talking about what we needed to do to organise. I suggested that they come in to the OILC and that we organise together. But this was opposed. The hostility to them was unbelievable. The full time official for the OILC division of RMT was telling me, “you’re raising aspirations among these workers that we can not fulfill”. The branch chairman was claiming that he knew these workers because he’d worked as a rigger in the sector and that they weren’t serious. Now you can translate that any way you like. And the way I translate it is, “don’t go making promises to these guys, because the union has no intention of doing anything for them”. It’s all predicated on the assumption that the workers would not do anything to fight for themselves – and that, in my opinion, was just not true. They would have gone ahead. What we needed was for leaders of the RMT – Bob Crow in particular, because of his high profile and the respect with which he was held by many trade unionists both in his own and in other unions – to get on their hind legs and shout at the companies, to say that this is outrageous, that we are going to recruit all these guys and organise strike ballots. But they stayed well out of it. It’s even worse, because RMT already had an agreement with the ROV workers’ employers, who also employed the divers – who had just demonstrated their strength by securing a massive wage increase and who had inspired the ROVers to come to RMT in the first place. Under pressure from the branch a ballot of the ROVers was organised (or maybe, more accurately, dis-organised) and given the very mixed message these guys got there was still a remarkable support for action. But it was never acted upon. I myself thought that these guys would have been mad to go into action, given the leadership at national level they were clearly not going to get. Bob Crow is speaking out on behalf of the ferry workers at the moment [September 2012]. He has the ability to shout and demand things. Ferry workers are if anything less organised than the ROV workers on the North Sea. But because they have a modicum of organisation, and Bob Crow shouting on their behalf, they have made some progress. And they don’t meet any opposition from the Caledonian Macbrayne, a nationalised company who are probably relying on the union to stop the government selling off the ferry routes to private enterprise. GL. What about young people who are concerned about global warming and who, in the context of anti-capitalist movements, advocate a transition away from fossil fuels. Is there scope for unity between oil workers and such movements? NR. Surely there’s scope for following the Norwegian example and making a political intervention in the North Sea, and demanding that this huge resource, this primary resource, is taken into public ownership. They’ve nationalised the banks and left the bonuses intact – but there is an argument for nationalising the North Sea. And using the Norwegian experience – you can’t just repeat it or bring it wholesale from Norway to the UK – but the case should be made that this resource should not be left in private hands. The BPs and Shells are awful – but the people working on the North Sea now, the Apaches, Nexens and Talismans, are much worse. So I would say: make the case to nationalise the North Sea, and see if you could excite some interest from workers on that basis. Of course there’s the whole question of independence for Scotland coming up – but there’s no way that Alex Salmond [the leader of the Scottish National Party (SNP)] is going to nationalise the North Sea. He was formerly an economist at the Royal Bank of Scotland! But somebody somewhere should raise this point. In an attempt to more specifically answer your question, I’d have to say that I suppose that the skills that will be needed for the offshore wind farms, which look as though they’ll be part of the transition from fossil fuel to renewables, are already there in the oil industry supply chain. So I guess that an organised workforce in the oil industry would take that organisation into the new offshore renewables industry. Organised workers in the established oil industry and the new renewables industry would surely be more open to the influence of the environmentalists and anti capitalists that you talk about. With no independent organisation workers in the offshore renewable energy sector are likely to remain pretty much isolated from such influences I guess. GL. Is the public discussion on Scottish independence a space that can be made use of? NR. I would have thought so. There’s a “yes” campaign, and I would think that around that, all these issues about North Sea oil could be articulated. But I can’t get particularly excited about independence for Scotland, or more specifically what it might mean for the North Sea. I suspect in the SNP vision, it’ll be more of the same for the workers. There was a recent offshore “incident” – a blowout on Total’s Elgin platform on the North Sea – that took me right back to the huge loss of life on the Piper Alpha. Only the Greens and the Scottish Socialist Party showed the slightest interest. Total’s blowout was in March 2012 – shortly after we’d all seen the blowout on a BP well in the Gulf of Mexico that killed 11 oil workers and devastated wildlife and polluted the beaches and of the Southern States. That there was no loss of life in the Elgin incident was down to pure luck, because 2000m3 a day of inflammable gas was leaking for weeks when the well blew out. And a naked flame had been left alight when the entire crew were evacuated by helicopter, despite the gas cloud engulfing the rig. OK, no one died and no oil pollution killed the wildlife, but that wasn’t because of anything Total had done. They’d lost control of the well, and had no say in what spewed out of it or in what direction the wind blew. On top of all this, Total refused to call a spade a spade. Their press conferences were blatant disinformation where the word “blowout” was never mentioned. And today they’re claiming an absolutely unique set of circumstances that they could not have foreseen, and therefore a blowout that could not be avoided. They’ve rewritten the rules of well control. To date, according to the industry, all wells can be drilled and produced safely and all blowouts are the result of multiple failures. Not so now, as far as Total are concerned. So presumably we’re looking at the possibility of a disaster of Deepwater Horizon proportions, or even Piper Alpha proportions, which any oil company might be just unable to avoid. Let’s see what the Health and Safety Executive (HSE) make of all this when they report the results of their enquiry into the blowout. The fact that the platform is up and running and back to producing gas already, with the blessing of the HSE, suggests that it’s a done deal, and the Total “explanation” is going to be accepted … and the offshore workforce can look forward to more “unavoidable” blowouts. 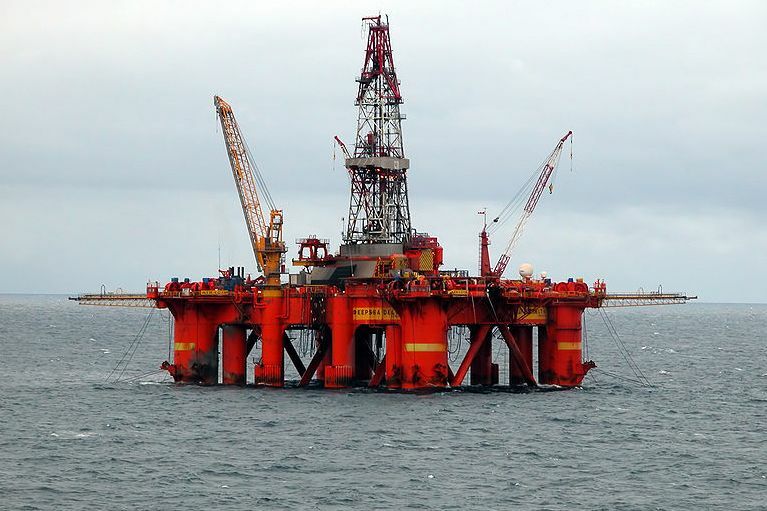 Nobody offshore is likely to have much confidence that UK regulators are likely to opt, in this economic climate, for a prolonged period of shutdown of any hydrocarbon production till ways of avoiding this near disaster ever happening again are found. Or are we left hoping that next time the wind’s still blowing in the right direction? Someone less busy than me might like to add them to the library.